If there was ever a good time to get outside and brave the cold weather to look at the moon, today would have been it. On January 31st, the super blood blue moon was visible in the early hours of the day, and it wasn’t an event to miss out on. The super blood blue moon is a supermoon, Blue Moon, and lunar eclipse all rolled into one — and this is the first time it’s happened in 152 years. This is big deal, because clearly, it doesn’t happen very often, but most people are already wondering when the next super blood blue moon will be. The super blood blue moon is a super rare cosmic event (in case you couldn’t already tell!) that doesn’t occur very often. In fact, each part of this event is rare on its own. A blue moon happens when two full moons occur within the same calendar month (January started off with a full moon), and they happen once every 2.7 years. Supermoons are a lot more common — they happen when the full moon is closest to Earth. A total lunar eclipse is more rare. It happens when the Sun, Earth, and full moon are perfectly lined up in that order, so that the full moon is totally covered by Earth’s shadow. As for a blood moon? 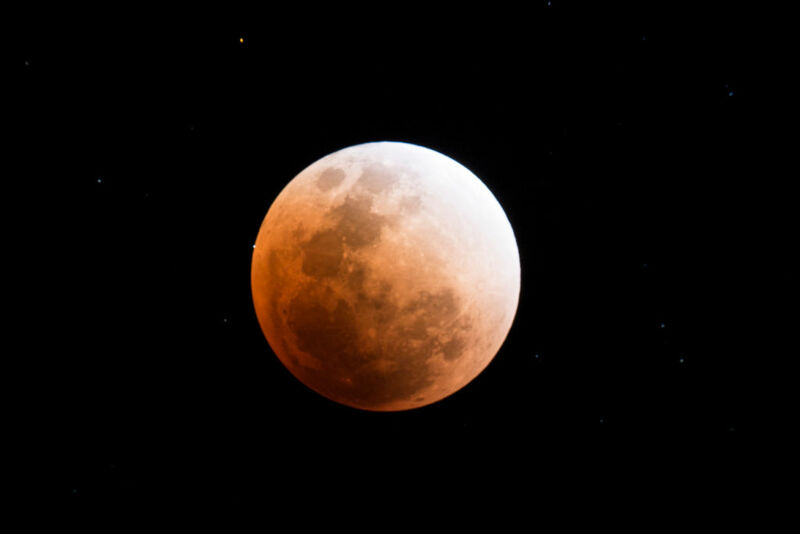 Sometimes, during a total lunar eclipse, the moon appears to be a blood-red color. That happens if some of the light from Earth’s sunrises and sunsets falls on the moon, according to Space.com. A total lunar eclipse can happen up to four times a year, but sometimes there are none at all. Which brings us to the super blood blue moon. Unfortunately, if you missed the moon this morning, bad news: there won’t be another super blood blue moon for a long time. According to Popular Mechanics, the next one will be on January 31st, 2037. That’s a pretty long countdown. That’s definitely disappointing, but hey — at least you can watch the super blood blue moon on the internet! Right?! If anything, take solace in the fact that the next blue moon will happen on March 31st, 2018. There will also be another total lunar eclipse on July 27th, 2018, although that will only be visible in parts of Africa and Asia.